In this fun course, you'll build a site with text, images, animations, tables, links, and more. Then you'll create a WebQuest and a blog to add to your site. Discover a treasure trove of ideas for integrating all types of technology into your lesson plans. You'll learn about WebQuests and classroom applications of wikis, podcasts, blogs, Excel, Powerpoint, and various web resources. 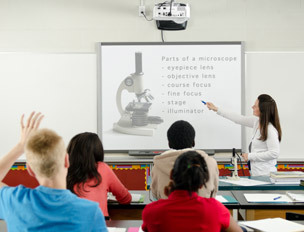 Explore the full range of SMART Board features and learn how to use SMART Notebook software to create attention-grabbing lessons blending text, video, and graphics. You'll also learn how to deepen your content and make your lessons accessible to all learners.